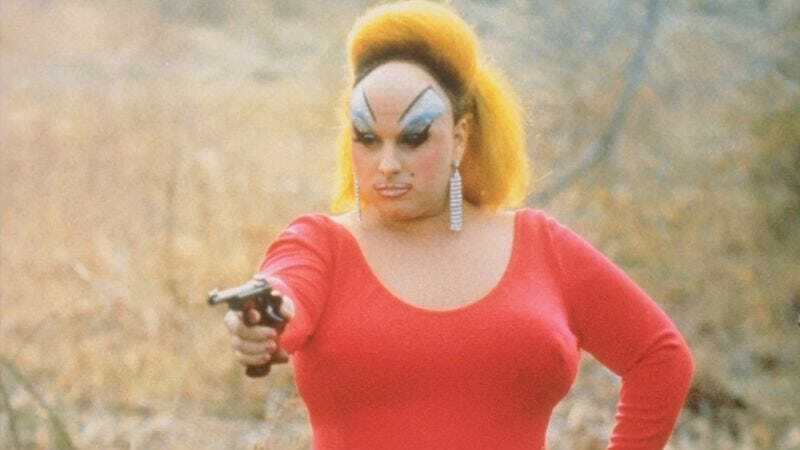 Harris Glenn Milstead, the Baltimore actor and singer better known to the world as the 300-pound, cross-dressing force of nature Divine, would have been 70 years old on October 19. Instead, he died of a heart attack at the age of 42 in 1988, while he was receiving the best reviews of his career for his role as concerned mother Edna Turnblad in John Waters’ Hairspray. But Milstead packed a lot of living into those 42 whirlwind years, appearing in such cult classics as Pink Flamingos, Polyester, and Female Trouble and scoring Europop dance hits overseas with songs like “Native Love (Step By Step).” Now, to commemorate the outrageous performer’s 70th birthday, Baltimore magazine’s Gabriella Souza has asked director Waters and his longtime casting director and friend Pat Moran to share their favorite memories of the one and only Divine. The results are both hilarious and poignant. Watson’s Garden Supply was always the place where he got in so much trouble because he was writing bad checks. And the police came, and he said, “I didn’t do it,” he completely lied. And they said, “Well, you’re taking a lie detector test,” and he took it and passed. That’s acting. When you can pass a lie detector test, you are a brilliant actor. Meanwhile, Baltimore radio station WTMD is throwing its own 70th birthday bash for the actor on October 16 at its offices at 1 Olympic Place in Towson, MD.